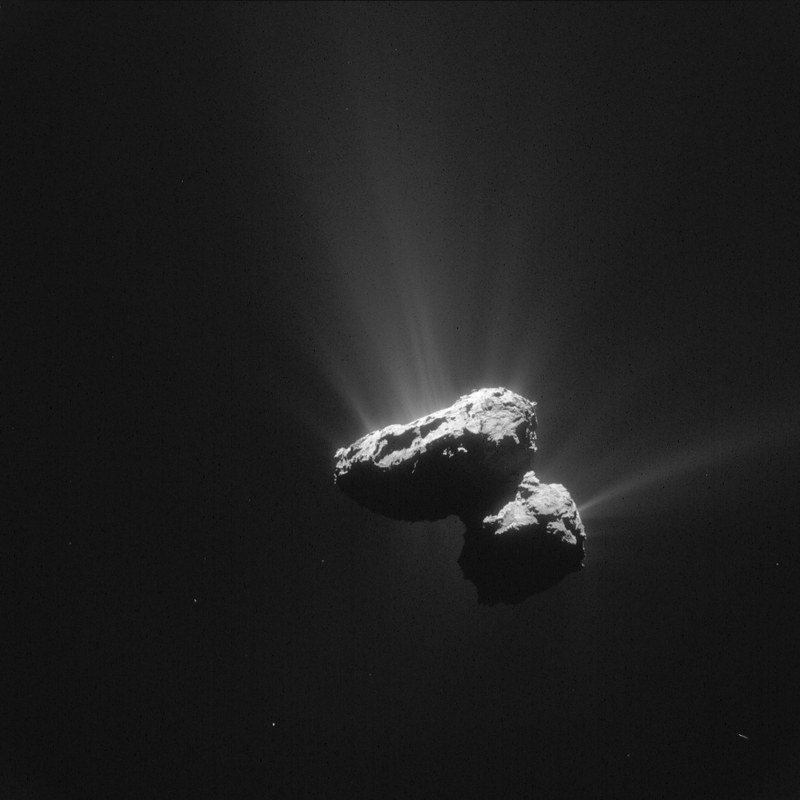 A beautiful new image from the Rosetta spacecraft of comet 67P with its jets of gas and dust on full display. Taken by the NAVCAM camera on July 14, 2015. Stunning! And I just looked up some of the images the two Vega probes made from Halley’s comet, and I must say there is some similarity.